The county is investing several million dollars to fast track the Devlin Road connection through the airport area to American Canyon. This is expected to make it easier to access services internally to the area and thereby make it a more attractive location to open a business. Government can play a number of roles in creating jobs. A primary role is to create the conditions for prosperity. The greatest opportunity for job growth in the county is in our Airport Industrial Area. The County formed a blue ribbon task force to recommend changes that would make the Airport Industrial Area more attractive to new businesses. Below is their report provided to the Board on January 24, 2012. A priority recommendation was the completion of Devlin Road. The county is following up on these recommendation and specifically has authorized the funds to complete the county portion of the Devlin Road extension. Because of the County's prudent financial management, Napa County is able to construct key infrastructure while others are planning layoffs. 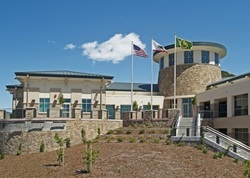 In the past decade, the county built a new sheriff's building, a new juvenile hall, a new homeless shelter, a downtown garage, and has plans to build a new health and human services campus. We were able to do these thing at relatively low cost due to our strong credit rating and financial ability to move forward when the opportunities presented themselves. In addition to providing future generations with the infrastructure they need, we also provided construction jobs at a time when they were needed. The County also partners with other agencies and non-profits to provide the services that lead to job growth. In particular, the County provided funding for the "Legendary" branding effort, the eventual formation of the Destination Council (click here) and the funding mechanism that supports a multimillion dollar marketing effort. The more effective marketing and management of our tourism this provides has had a significant impact on job growth. We have all seen double digit rises in the hotel overnight stays and related tourist supporting jobs in recent quarters. The County also funds the Parks and Open Space District which improves access to our great outdoors and gives a reason for a tourist to stay overnight and spend their dollars here. 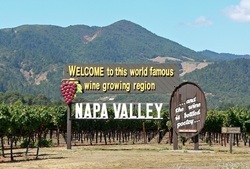 Because of careful land use and budget management we have been able to continue our progress in establishing Napa County as a world class destination, and the benefits that brings.